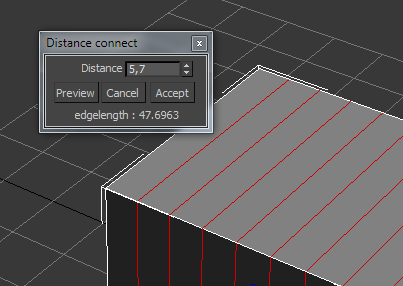 1.Distance Connect，In 3dmax scene, On the Poly side editor, the connection line has a higher upgrade. 2.Can know the distance between the line segment, modeling will be useful. 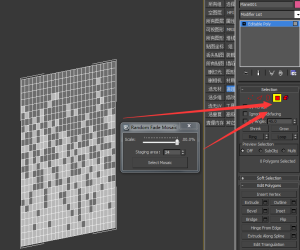 1.Cleanup overlapping line，In 3dmax scene, Check and remove overlapping lines. 2.Before using a backup file, try several times, you’ll like it. 1.In the scene 3dsmax,Modifier for the deformation of the object in the box. 1.CameraMatch，In 3dmax scene, photo modeling helper scripts. 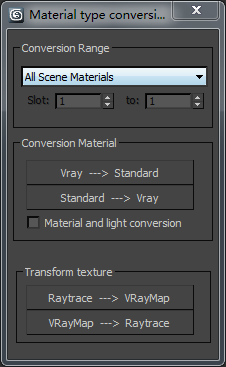 1.Material type conversion，Conversion between vray and standard material. 2.Provide conversion between several range, please become familiar with on their own. 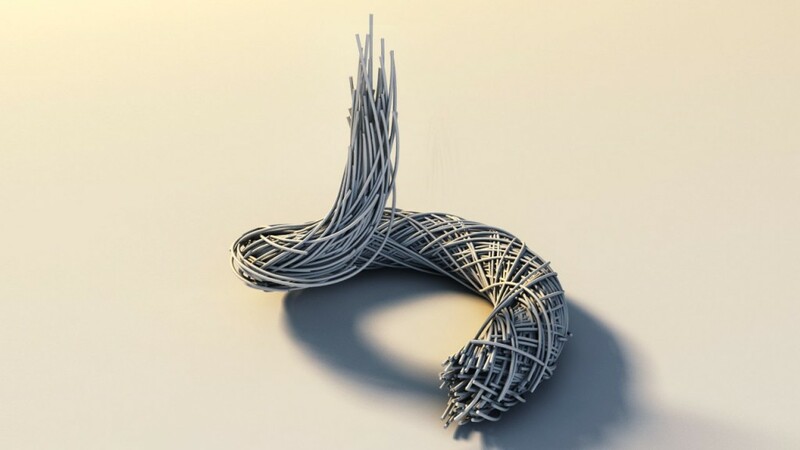 Script to generate fibers around the spline. 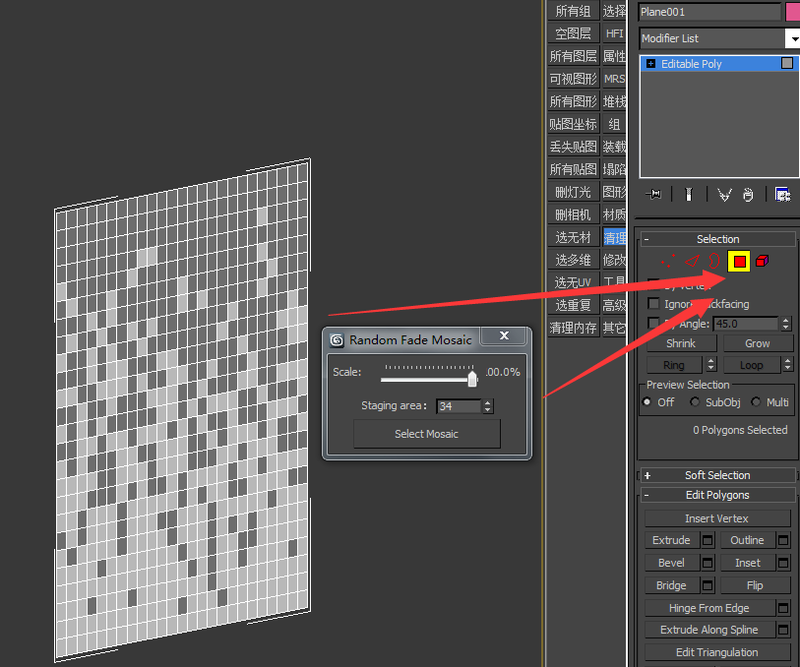 1.Random Fade Mosaic,3dsmax in poly surface level, run the script. 2.Poly randomly selected surface gradient is to do with Mosaic, the principle is to use my own principles to do manually. 3.Premise Objects have height, (non-top view of the drawing sheet surface objects). 4.Some surface is divided into several sections, each in percentage selection, Out the effect of the case. 1.Traffic generator，One of the animation in a construction project, I used script. adjust parameters, very useful and convenient. 3.Axial general default, resulting car, the wrong direction, they can click on the flip, or modifythe line starting point. 4.Maximum speed and minimum spacing, according to the length of the scene units and lines to set up, the unit is very important.